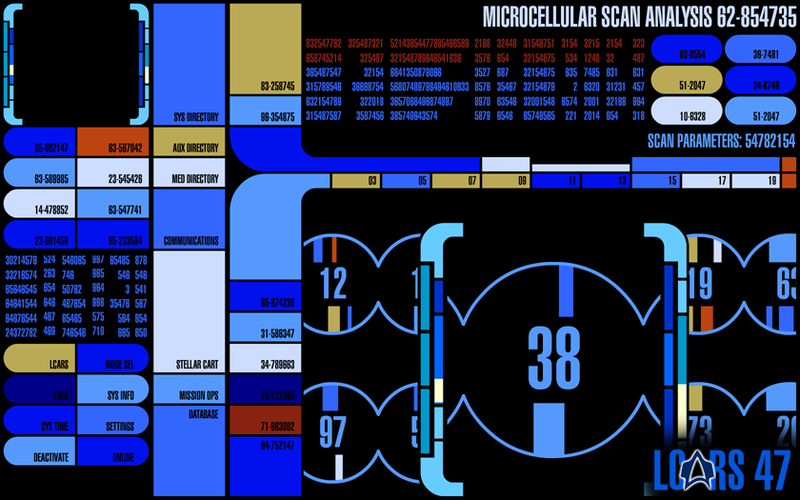 I've started work on the Sickbay/Medical systems and monitors today. 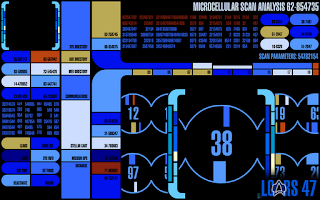 The whole module will feature a few animations based on those seen throughout Star Trek. Some modules will also contain custom files like the Roster database where you can add custom medical reports and such. There's also a microscope feed monitor where you can hook up your webcam (like the Security Monitor Feed) or even a real USB microscope if the webcam option is not enough for you. 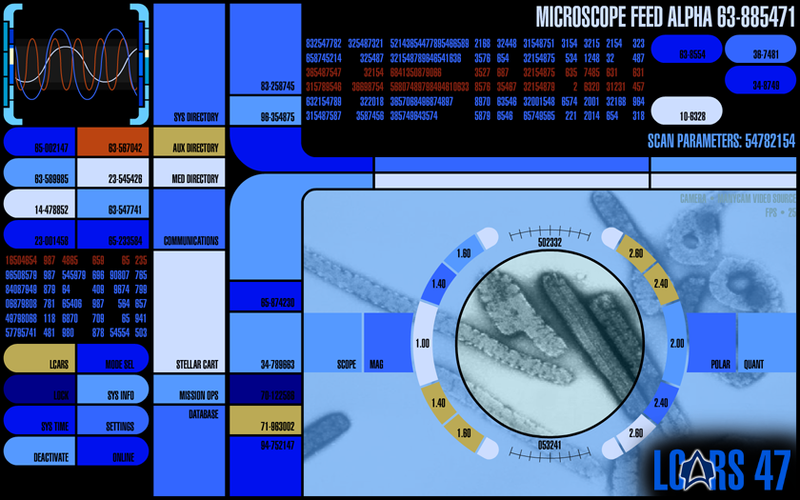 I'll probably include a medical catalogue database as well, which will contain various data file on common illnesses such as the Vidian Phage (Voyager: "The Phage", "Faces"), Anchilles Fever (TNG: "Code of Honor"), Levodian Flu (Voyager: "Tattoo"), and so on. I'll also be adding a 'lifesigns monitor' and a few static images for good measure.